The draft has ten questions and a note at the top. Some of the questions will be optional, most will be required (which are required should be clear when filling out the form). Please look the draft over. If you have comments or think of something we should consider adding, please let me know. We’ll have a separate form to sign up books (rather than authors), and we can also add separate forms for any small publishers or booksellers that may wish to participate in the event. Remember, it’s just a draft. (So don’t try to complete the form yet.) Once it’s ready, I’ll post a link to the form, and all you’ll have to do to participate is complete the form online and press a magic submit button. Then I can create a database of the answers at anytime. Regarding the image above with the red curtains… I got this idea that we might be able to stir up a little pre-launch buzz for Read Tuesday, and I thought closed curtains like you see in a theater just before a big show might be a good idea. However, the primitive method that I used resulted in a highly pixelated image. I put an image on the Read Tuesday website, the Twitter page, and the Facebook fan page, so at least anyone who visits these sites will see that something is in the works. (These sites are otherwise empty.) I was going to suggest that we post this picture on our blogs, and perhaps even create a few posts to try to stir up some pre-launch buzz for the Read Tuesday event (you can see one image on my sidebar to the right), but since it’s rather pixelated, I decided not to suggest this. Actually, it’s hard to notice the pixelation on the small sidebar image, so adding these red curtains to all our sidebars might not be a bad idea after all. Feel free to add it to yours and to spread the word. You’re welcome to copy the red curtain image (either above or from the sidebar). 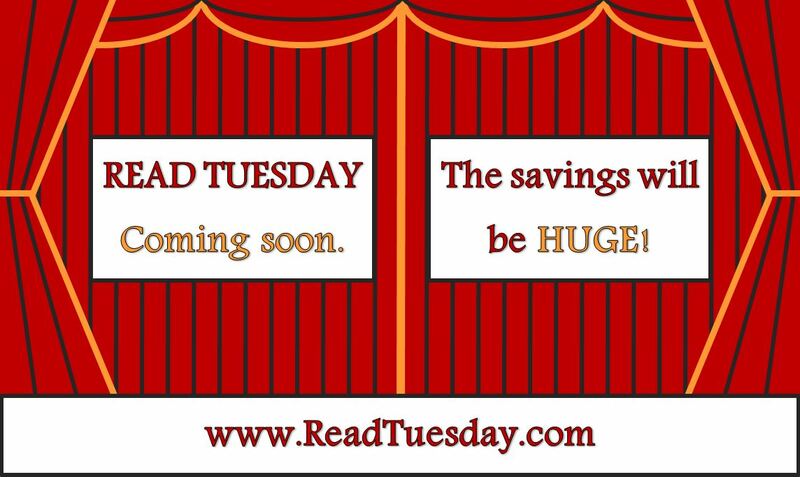 In about a week, we should have much nicer images to work with to help brand the Read Tuesday program. When these are available, I will let you know, and that’s when the Read Tuesday sites will launch.